This Post has already been read 841 times. Tecno Mobile revealed its plan to enrich the month of Ramadan by giving its customers a chance to win big. Customers who will buy Tecno phones during the last 10 days of Ramadan can not only win cash vouchers of Rs/-5000 and different precious gifts every day, but also have a chance to enter into lucky draw.In this lucky draw, a grand prize of a motorbike awaits any individual who manages to win! The company has also planned a remarkable contest on its digital forum for its valued customers, along with other contests with various rewards and Prizes.The Company has already conducted different campaigns on the digital forum; it plans on conducting something bigger with the name of Eidi Before Eid. 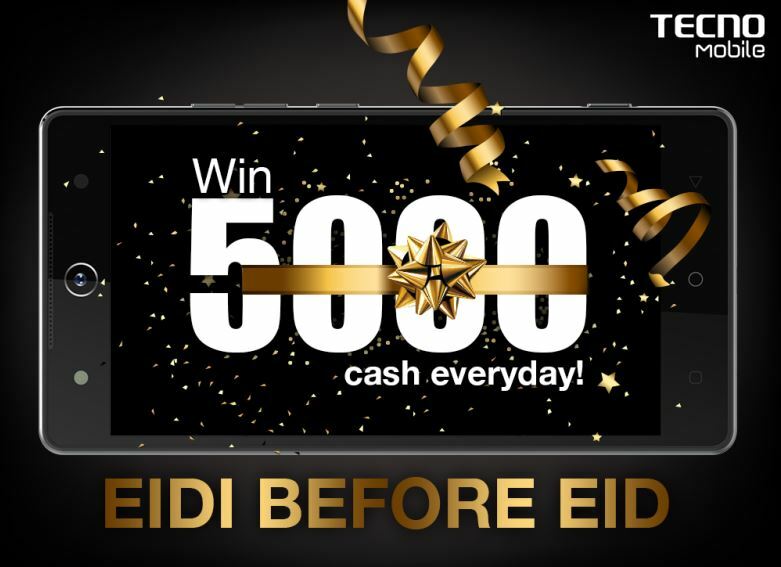 During the “EidiBeforeEid” campaign, the participants would be asked to share their pictures and selfies taken at Tecno activities using HashTags #EidiBeforeEid & #EidiWithTecno, which will allow the customers to win exciting Eid packages and rewards. Tecnoofficially launched in Pakistan this April and coming up with remarkable activities and campaigns to express its deep care for its loyal users. This has indeed, made the consumer market admire the norms thatTecnohas decided to follow to respect the social, cultural and religious festivals of the Pakistani consumers. 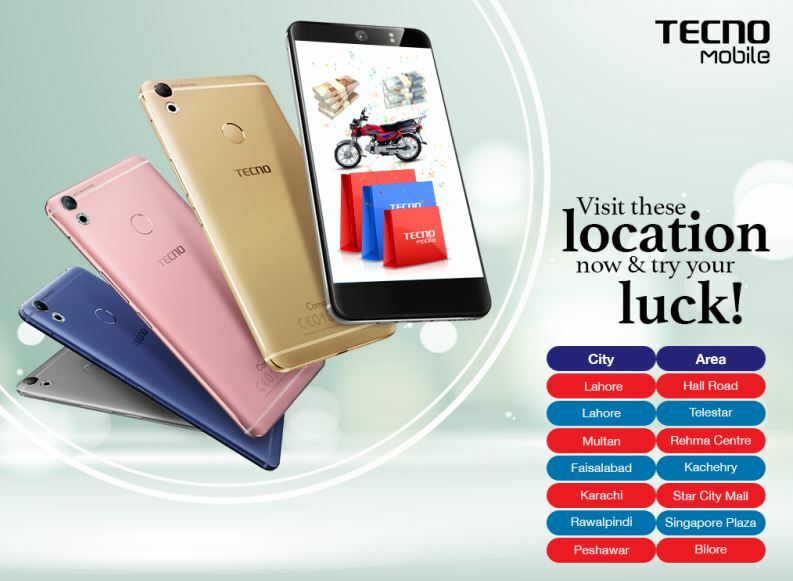 This Ramadan the Tecno campaign is very attractive as the company is providing free gifts and giveaways not only to the customers who buy’s Tecnomobile, but alsoto the visitors who participate in the activities. The activities organized by the company will be held in different mobile markets of major cities. The activity areas include: Hall Road & Telestar in Lahore, Star City Mall in Karachi, Rehma Center in Multan, Kachehry in Faisalabad, Bilore in Peshawar and Singapore Plaza in Rawalpindi. As the holy month proceeds, Tecno is sure to be conducting many more fun activities forits fans. By sharing their customer’s social and religious values, Tecno has become a socially-embedded enterprise, which is ready to become one of the most successful mobile technology brands around the world.